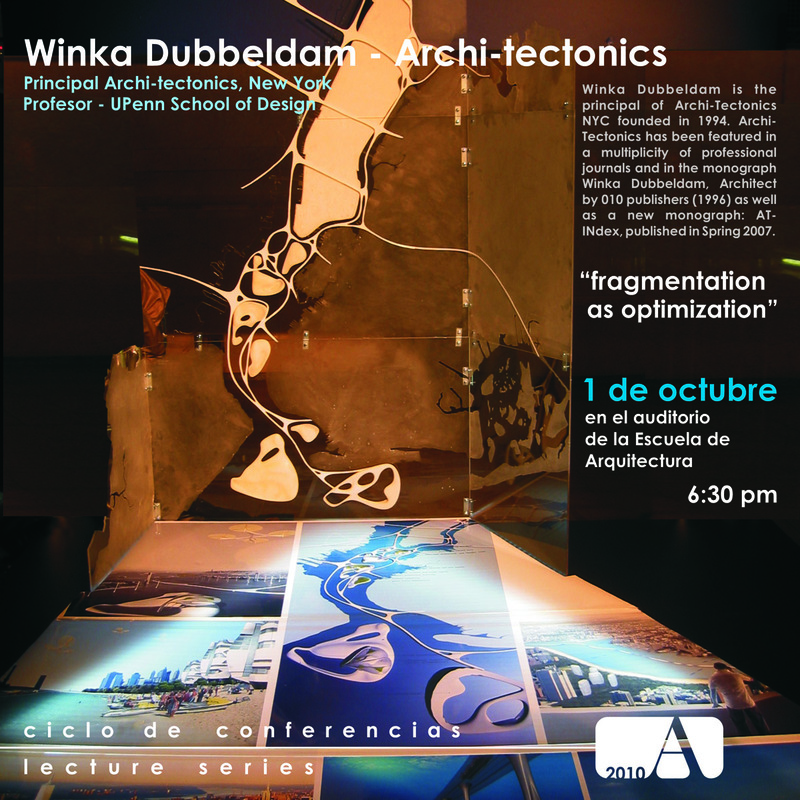 We at Archi-Tectonics have the pleasure of contributing in an ongoing lecture series at Escuela de Arquitectura in Puerto Rico. We will be discussing “Fragmentation as optimization” along with the students of UPenn School of Design. Wish you could be here! You are currently browsing the Archi-Tectonics Today weblog archives for September, 2010.